On May 12, 2008, an 8.0-magnitude earthquake struck Wenchuan, Sichuan Province. A decade on, how is life there now? Is everything back to normal? 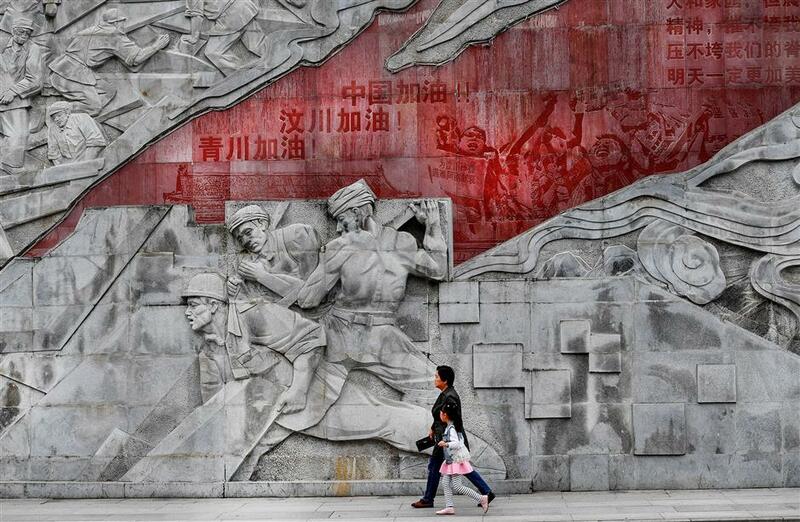 A granite relief wall, remembering the lives lost and the united efforts during and after the 2008 earthquake, has been set up at the Gan’en Culture Square of Qingchuan County, Sichuan Province. On May 12, 2008, an 8.0-magnitude earthquake struck Wenchuan, Sichuan Province. It left nearly 90,000 people dead and missing. Millions of people were made homeless by the quake, which cost more than 840 billion yuan (US$130 billion) in financial losses. Among the 41 counties in the most-affected areas of Sichuan, Gansu and Shaanxi provinces, over 21,600 buildings and 7,000 schools collapsed. A decade on, how is life there now? Is everything back to normal? 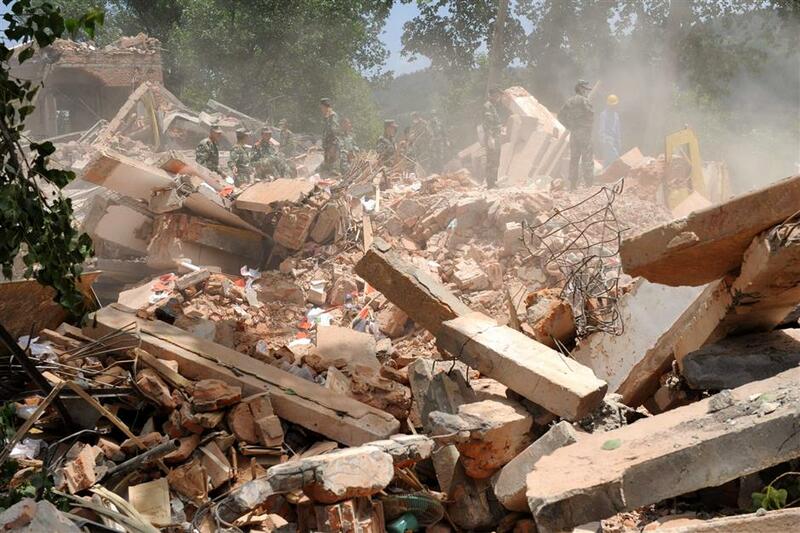 Covering 3,271 square kilometers, Qingchuan County was one of the 10 most severely hit areas. After a decade of continued reconstruction, great changes have taken place there. A completely new town now sits on the ruins of the old. 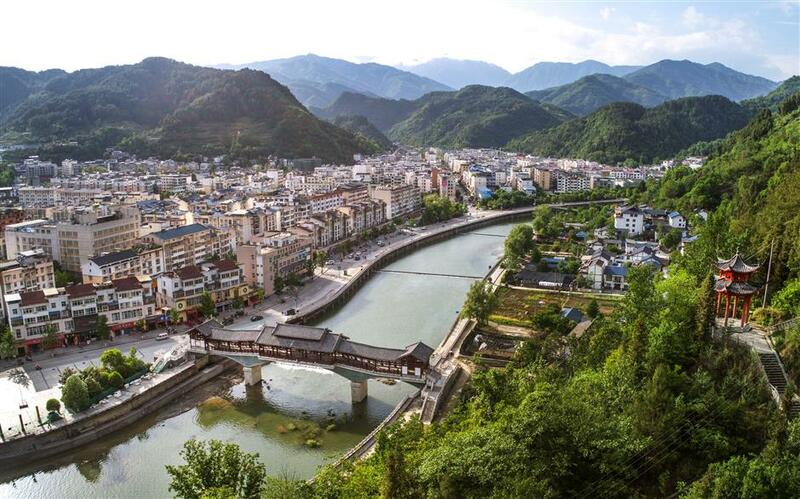 Boasting a rich history of more than 2,000 years, Qingchuan today is an eco-friendly resort town, known for its tourist attractions and theme parks, such as the Warring States Mudu Park, the Gan’en (gratitude) Covered Bridge and the Gan’en Culture Square. A bird’s-eye view of the Gan’en (gratitude) Covered Bridge in Qingchuan County, Sichuan Province. 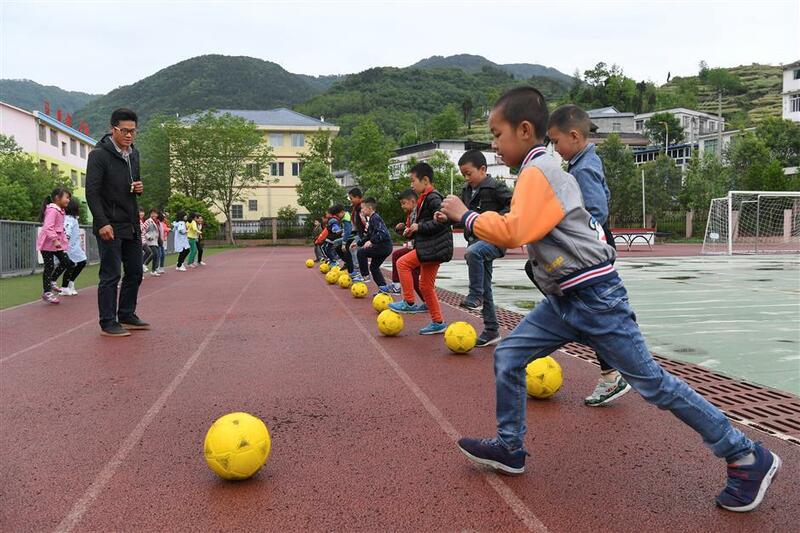 One of the most severely hit areas in the 2008 Wenchuan earthquake, Qingchuan today has become an eco-friendly resort town, known for its tourist attractions and theme parks. Students enjoy lunch at the new Malu Primary School. Students at the Malu Primary School learn to play football. The county’s Malu Primary School was destroyed in the 2008 earthquake. When the rescue team arrived, Xu Guang and more than 100 students from the school immediately joined in the relief work. 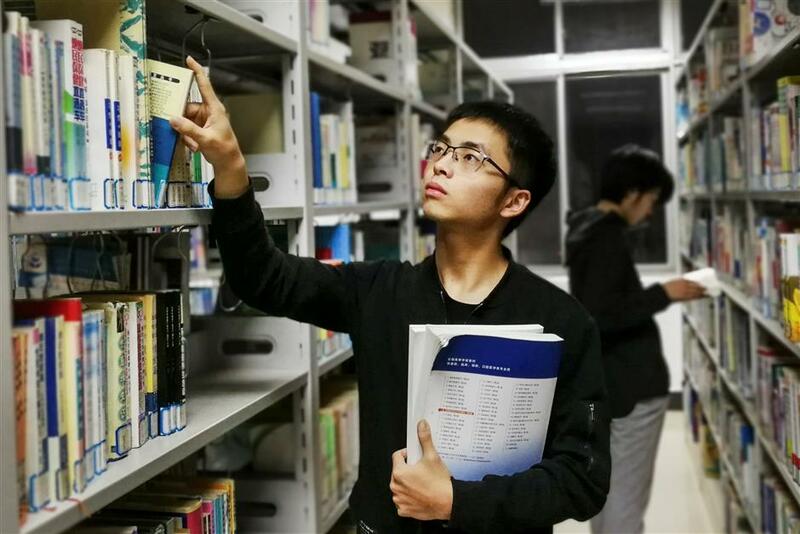 Now a pre-med major at a medical school in Changsha, capital of Hunan Province, Xu says he wants to become a doctor because he was so impressed by the relief work done by the doctors who saved thousands of lives during the deadly earthquake 10 years ago. Today, on the original site is the new Malu Primary School, constructed with full funding from the Zhejiang government. Covering 18,000 square meters, the school has the best facilities available, with computer rooms, science labs and a multimedia library. At present, 536 students live and study there. 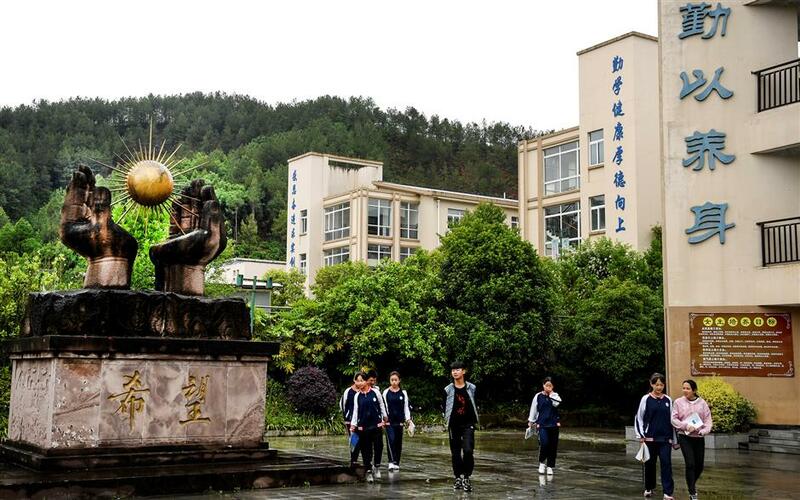 Like Malu Primary School, Muyu High School, a key boarding school in the region, was also rebuilt with full financial aid from Zhejiang. Nestled against the mountain, the new buildings were built to better standards to withstand earthquakes. A statue bearing the Chinese characters for “hope” (希望) has been erected in front of the teaching building to encourage the students to look to the future. Muyu High School was destroyed in the 2008 earthquake. Students pass a statue bearing the Chinese characters for “hope” (希望) at the Muyu High School to encourage them to look to the future. 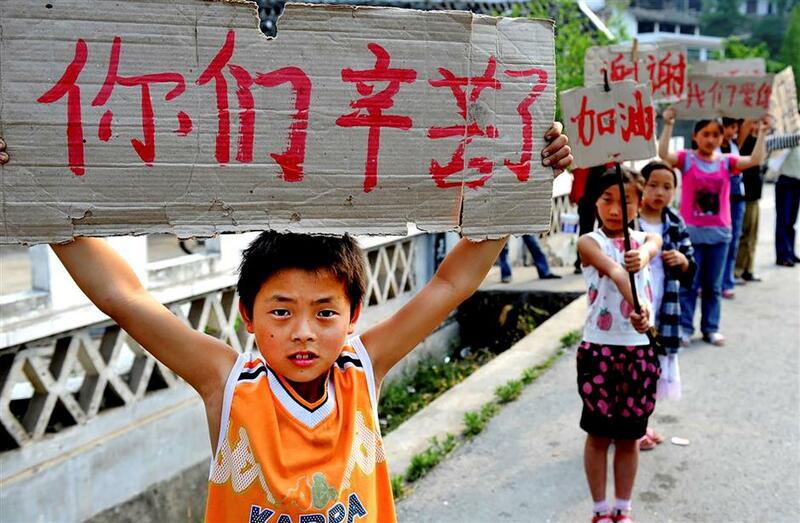 Xu Guang (front) and his classmates from the Malu Primary School raised “Thank You” placards by the roadside whenever a relief team passed their school in 2008 after the deadly quake. Ten years later, Xu is now a pre-med major. Bordering both Sichuan and Gansu provinces, Ningqiang County is an ancient town originating in the Ming Dynasty (1368-1644). It was completely leveled in the 2008 quake. About 100 relief stations were set up there afterward. 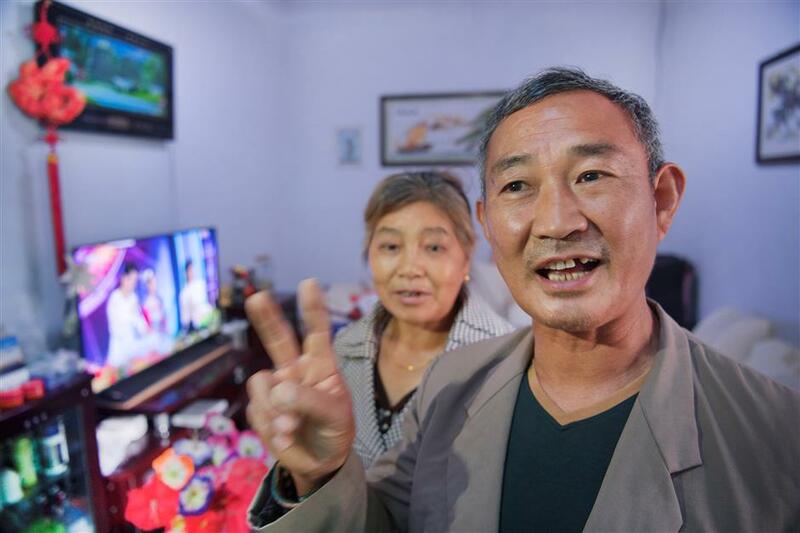 With full financial aid from Tianjin, Ningqiang has recovered from the trauma. So far more than 23,000 urban and rural residents have been relocated to new homes; 66 schools have been rebuilt and 268 medical institutions with first-aid facilities have opened. To acknowledge the help from Tianjin, the Ningqiang High School was renamed the Ningqiang Tianjin High School when it opened in 2009. 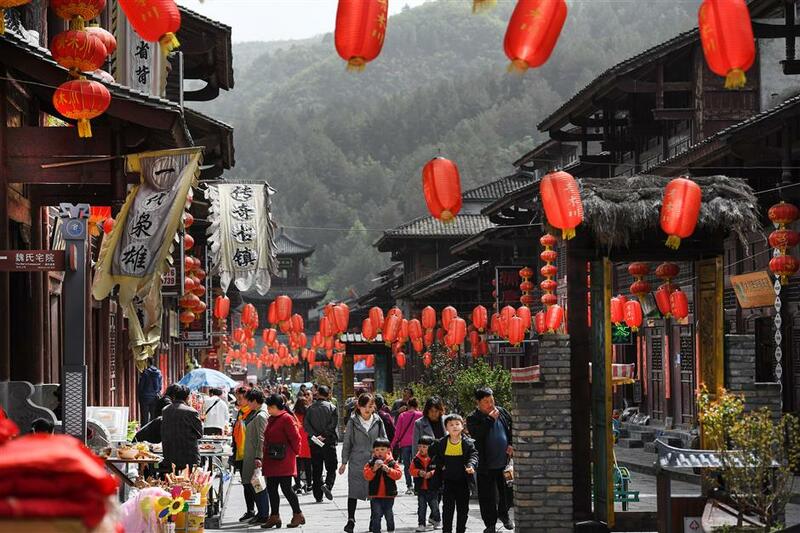 Qingmuchuan Ancient Town in Ningqiang has become a tourist attraction. 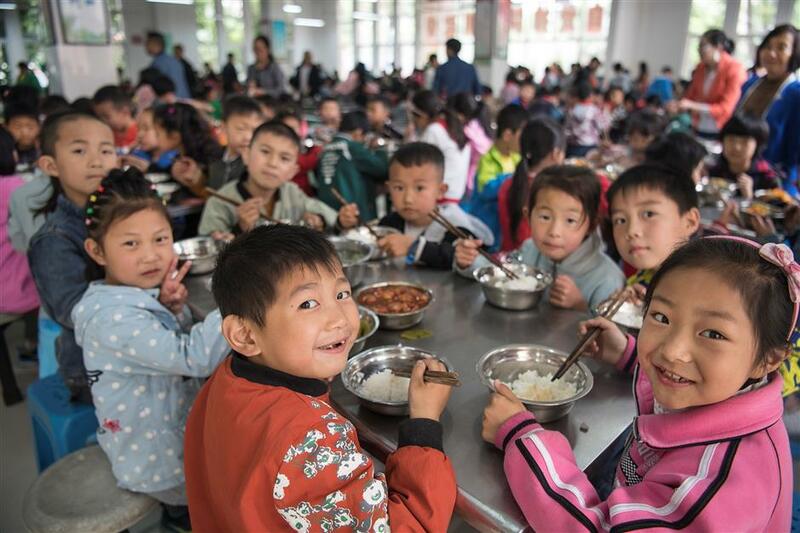 With financial aid from Tianjin, more than 23,000 residents in Ningqiang County, Shaanxi Province, have been relocated to new homes. No more than 20 kilometers from Wenchuan, the epicenter of the devastating earthquake, the Wolong National Nature Reserve was one of the hardest-hit areas. Vegetation in the habitat of giant pandas in low altitude was destroyed. Roads to the outside were badly damaged, and frequent mudslides and landslides hampered reconstruction. It took workers two years to rebuild the road to the camp headquarters. The panda research and breeding center has not only been restored, but three more branches were built in Wolong, Dujiangyan and Ya’an. As of the end of 2017, a total of 270 giant pandas were living in the center, accounting for nearly 60 percent of the world’s panda population in captivity. And the center has initiated scientific research collaboration with 15 zoos in 13 countries and regions around the world. 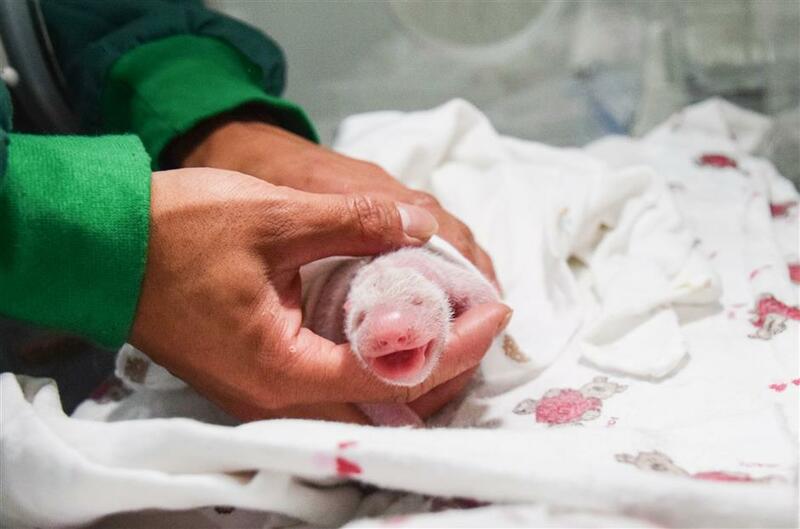 Eight breeding pandas were reintroduced into the wild, and seven have survived. Known as the home to giant pandas, the Wolong National Nature Reserve has added three research branches since the quake. 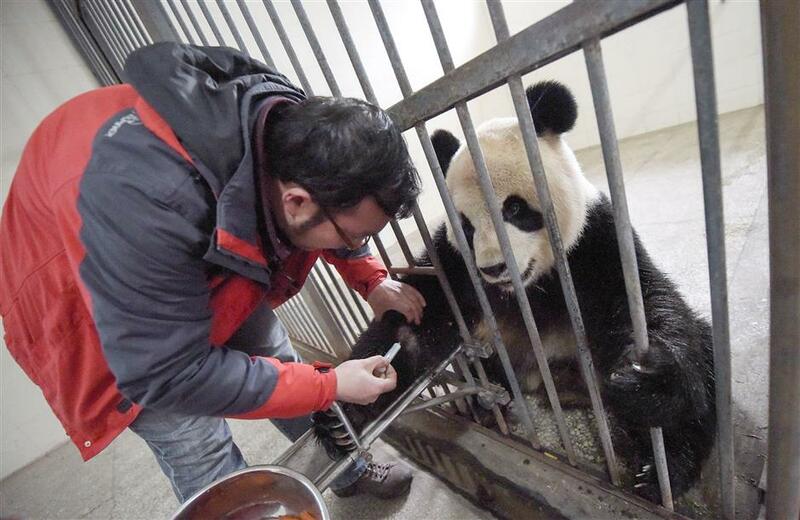 A staffer at the Ya'an branch of the panda research and breeding center has a blood test of a panda. 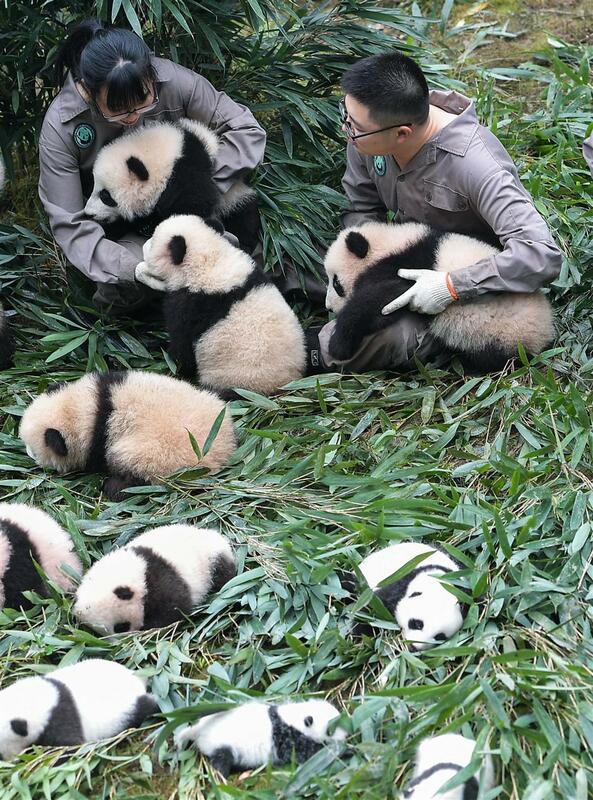 A panda cub is taken good care of at the Hetaoping Research and Conservation Center for the Giant Panda in Wolong. 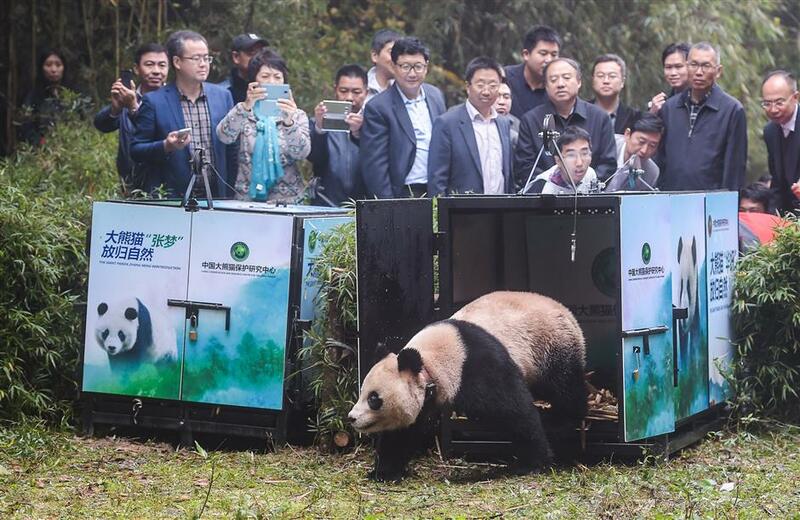 Hua Yan, a 2-year-old female panda, is the sixth bred in captivity to be released into the wild after a two-year wilderness training program.